HR_netWork is aimed at all employees of our member companies whose work touches on human resources and personnel issues. We want to address and discuss relevant topics with you and share our experiences – whether it relates to change management, recruitment development, employer branding, Generation Y, the fundamentals of employment law, women in technology, benefits, training/advertising for occupational groups or work 4.0. More detailed topics – along with areas for which there is a need for training – are tackled together with the network partners and discussed in depth at special meetings. For example, the first HR_netWork round table discussion – ‘Employment law updates’ – will shed light on the latest labour court rulings, such as the EU’s General Data Protection Regulation, exclusion clauses in employment contracts, new judgements by the labour courts, and developments in minimum wage and redundancy legislation. 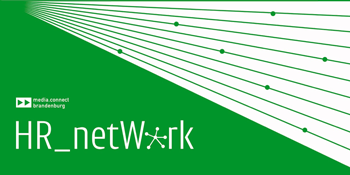 Are you interested in taking part in the HR_netWork? Are you an HR professional and would like to be added to our mailing list? Are there any issues or problems that you would like to discuss? Then let us know. HR_netWork is available exclusively to members of media.connect and media:net. Verhandlungsführung für PersonalerWie führe ich Bewerber- und Mitarbeitergespräche erfolgreich, fair und geschickt? Und wie erreiche ich damit meine HR-Ziele? 15.02.2017: Was macht uns agil?